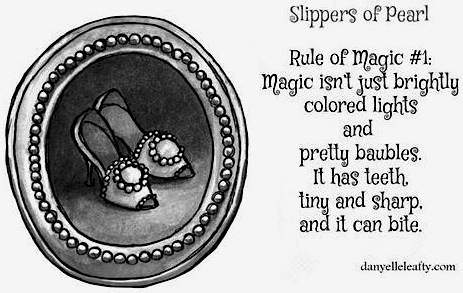 Today I've got a special interview with fantasy author Danyelle Leafty about her new middle-grade book Slippers of Pearl, first in the Tales of a Cobbler Mage series. 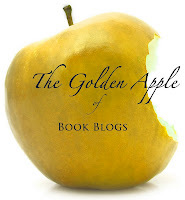 For my review of Slippers of Pearl plus a recipe and even a book trailer I made for the book, please visit my Slippers of Pearl post from a couple of days ago. 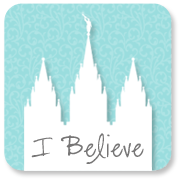 And Danyelle is a Utah author! Happy Utah Book Month! The ending took me a bit by surprise when my brain caught up with what I'd written, and I realized I had a thread of Snow White in reverse. Definitely not consciously planned, but I liked it because the apple is a loaded symbol in our culture, and SLIPPERS reflects a little of that. Lily, of course, is the unlucky bird in The Princess Who Had Never Laughed. I didn't plan for her to be in the beginning, but after the dying incident, it all just kind of came together on its own. Writing this, I also realized she has a little in common with Snow White as well. Shoes: there are a number of fairy tales where shoes are an important plot point. (Ex: Cinderella, Snow White (evil queen), 12 Dancing Princesses, etc.) They will be everything that this series hinges off of. Many fairy tales also have parts where time or space are bent, kind of like the walk down to Master Talbyn's office. O:) I specifically had the tile as black and white squares as a nod to Alice in Wonderland (one of my favorite stories as a kid). 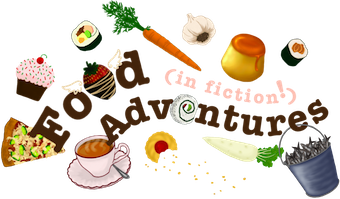 Food: fairy tales are rife with plot points that deal with food--good, bad, and deadly. And, for some reason, apple turnovers fit the bill for all three in my head. Snow White again with Galiana. She isn't going to be the traditional Snow White, but there will definitely be some similarities there. Her stepmother, of course, was also heavily influenced by the stepmother (or mother, depending on who's telling the tale) in Snow White. Sleeping Beauty: if Sleeping Beauty was a bright blue goose. True Love's Kiss is a powerful remedy. ;-) Also, the apples grew on a dangerous sort of hedge that was inspired by the wall of roses and thorns that surrounds the castle while the curse is active. Elves and the Shoemaker: Let's just say there's a reason why Faryn's Uncle Brogain (which means shoes, by the way) isn't too fond of elves in his workshop. There are probably others I'm not consciously aware of, but that's what I love about fairy tales. They get under your skin and into your blood. At one point in Slippers there is mention of flipping a coin to test reality. It immediately made me think of the movie Inception. The (Inception) characters had to do something like that with a small object of their choosing (like a coin, or a tiny spinning top) to see if they were in the real world or in a dream. What is your history with fairy tales? ((I imagine that it's more like a love affair [the good kind])) Any specific favorites or favorite culture? I've loved fairy tales ever since before I can remember. As a child, I drank them in. I loved the way they made the ordinary magical. Also, I loved princess dresses. As an adult, I love them even more. For me, fairy tales are human tales. They peel back the outer layers and get to the matter of what exactly it means to be human. I kind of love that (in most of them) there is a seed of truth from which the story itself springs. I pretty much adore all fairy tales, though Bluebeard freaks me out a little. :) I'm currently making it a point to study the fairy tales and folktales of other cultures. What's amazing is how some stories are found in pretty much every culture (Cinderella, anyone? ), and yet the culture in which it's told leaves its mark on the story. You can learn a lot about a culture (values, beliefs, etc.) by reading the stories the people of the culture tell. This is one of the reasons each story in The Cobbler Mage series will come from a different culture. I won't be taking a Western fairy tale and setting it elsewhere, because not every culture reflects the Western mindset. Instead, I'll be taking the stories from different cultures and weaving them together into a tapestry that hopefully looks somewhat human by the very end. Yes. I love it. When I was a pre-teen I came across the phrase "the DNA of Fairytales" referring to the similarities of tales around the world. There's a principle in that. Universality from our humanity. 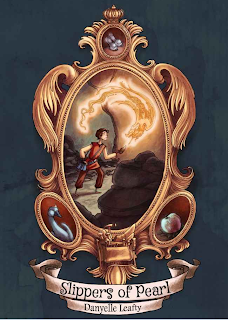 What's next for The Cobbler Mage series? Lots and lots of research. :p Right now, I'm looking into ancient Persia and Tibet. I had originally planned for ancient Persia to come next, but Tibet is calling. I'm not guaranteeing the next book be based in a Tibetan fairy tale, but it will be from that area. I had planned on basing the fairy tale in a land inspired by China or Japan, but wanted something smaller, a little more out of the way. Slippers was near the top of the multicultural list on Amazon. What is it about the story that puts it in this category? 1. Magic--I wanted Faryn's magic to be modeled after Chinese Dragons--particularly in the tale of The Four Dragons. It's not an exact replica of what Chinese dragons are supposed to look like, but it's close. 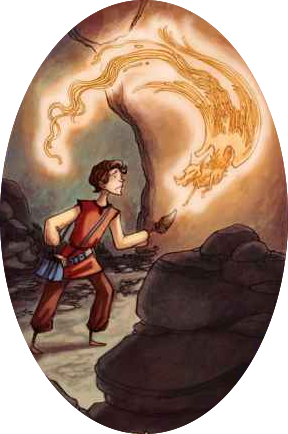 Also, in Chinese dragon lore, dragons are benevolent beings that like to help people, much like Faryn's magic is helping push him closer to being the hero he's meant to be. (The relationship between the dragons and the shoes will become more apparent as the series goes on. 2. The first book in the series (SLIPPERS OF PEARL) is the book that is meant to ground everything else that follows. There will be more dragons, more threads to The Four Dragon's folktale, and more culturally diverse fairy tales. Yay! Tonga! I love people from Tonga. I even took a few Tongan language classes a little while ago. Yay to all of the places you mentioned! I love the more off-the-beaten-path tales from other lands. Purchase Slippers of Pearl for only $2.99 (eBook)! Excellent interview! It made me want to read both SLIPPERS OF PEARL and some original fairy tales. Thanks, Jessica! It really is a fun story.